I will be returning to California tomorrow and I have enjoyed my stay in Indiana. 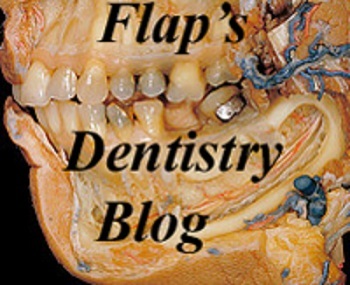 The first is from friend and colleague Dr. Marty Jablow who I met a number of years ago at the American Dental Association meeting in Las Vegas. It is a video report, as he interviews practice management guru, Linda Miles. There are some interesting comments from Linda on insurance plan driven dentistry versus a total fee for service practice. Nobel Biocare (NOBN.VX) said its chief financial officer had resigned, the latest in a string of changes in top management, sending shares in the Swiss dental implant maker sharply lower. In a brief statement on Friday, Nobel Biocare said Dirk Kirsten, who joined the company in 2008, would step down from his position on January 31, 2013 to pursue other opportunities. The company did not name a successor. The July issue of the Journal of the California Dental Association focuses on virtual dental homes and includes discussion of health homes and the use of telehealth technologies, the California Dental Association (CDA) announced. Articles in the issue include "Community-Based Prevention and Early Intervention Strategies," which focuses on the evidence for new strategies and their potential application into community-based oral healthcare settings, and "The Virtual Dental Home: Bringing Oral Health to Vulnerable and Underserved Populations," which discusses development and advent of "health homes" and the use of telehealth technologies to connect geographically distant providers. The article "Using Telehealth Technologies to Improve Oral Health for Vulnerable and Underserved Populations" presents emerging evidence that telehealth technologies can enhance the ability of the oral health delivery system to reach vulnerable and underserved populations that are not adequately served by the traditional office and clinic-based oral health delivery system. Fewer elementary school students can buy soda and other sugar-sweetened drinks at school than could a few years ago, according to a new study. Researchers called the trend of fewer vending machines and snack bars selling the beverages "encouraging," with soda drinking being one nutrition issue public health experts have tied to childhood obesity.